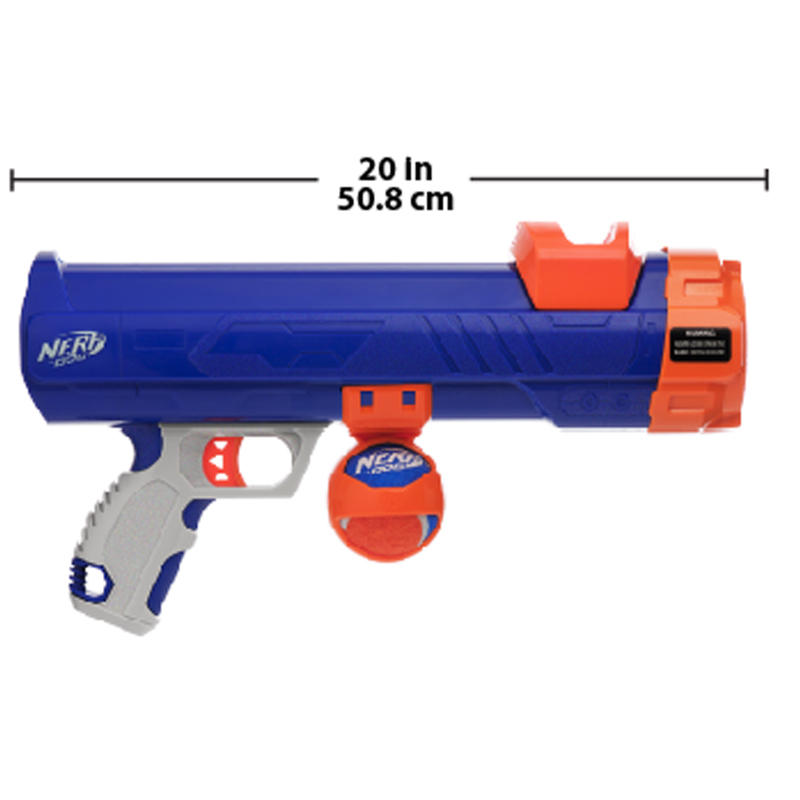 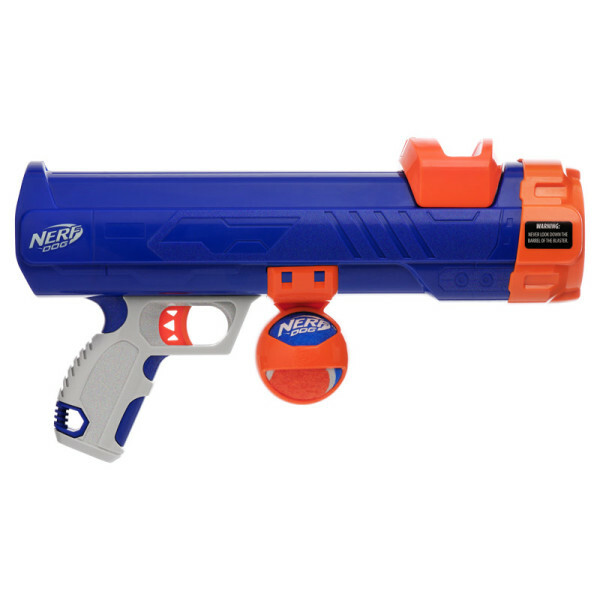 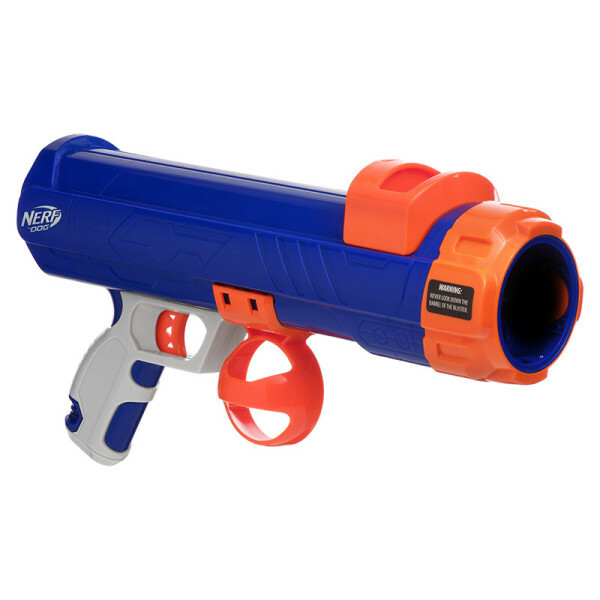 Take aim with the new 16″ hand-held Nerf Dog Tennis Ball Blaster! 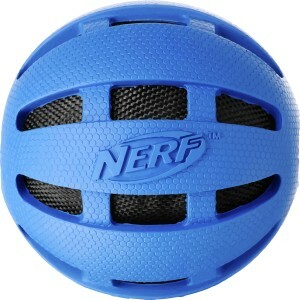 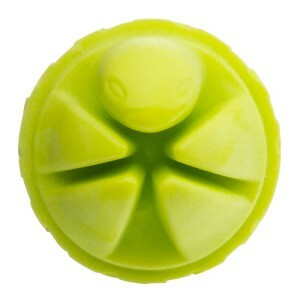 High-powered blasting action launches your dog’s favorite fetching tennis ball over 50ft in the air. 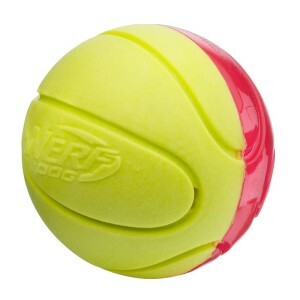 When your dog brings it back, stay in the game by placing the barrel on the tennis ball and pick it up “hands-free”. And, unlike other brands of tennis ball blasters, the NERF DOG blaster’s mechanism is safe for your hands. 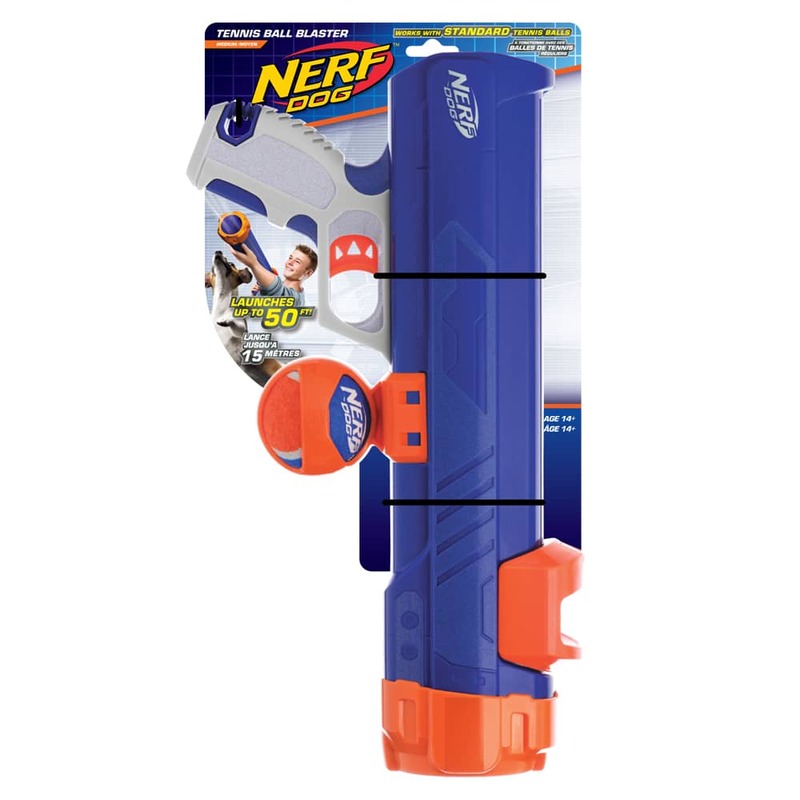 Energy and excitement for your dog, and safe control for you; That’s why it’s Nerf or Nothin’!